It's hard to believe, but our 3+ years in Rotterdam is quickly coming to an end. We have cancelled all of our utilities, our gym membership, and or apartment lease. We found a removal company to ship all of our boxes to New Hampshire (no easy task). We have scrutinized our clothes the way Donald Trump does his Apprentice contestants--if they convinced us of their worth, they would make the cut. Over half didn't succeed, and were given to the Red Cross. 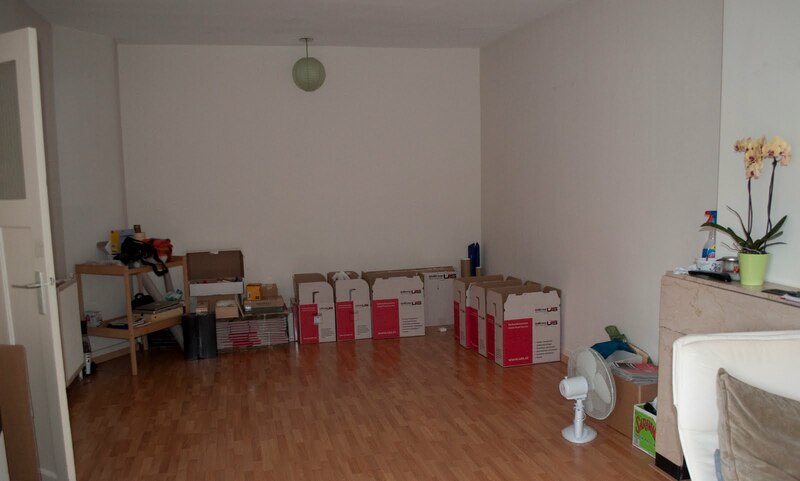 Today, we made another huge step, and moved the furniture out of our apart ment. Another American Expat couple is making the same move to Rotterdam in a couple months that we made 3 years ago. 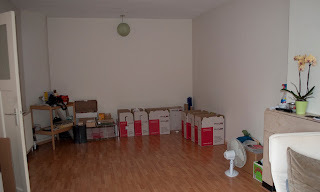 So, we arranged to store all of our furniture, kitchen equipment and dishes, sheets, towels, etc. for them, which should help them get a good start. We felt really productive after today. We rode our bikes across town to the rental car office, rented a moving truck, drove for the first time in Holland (which I'm glad we never have to do again), and the two of us carried all of our disassembled Ikea furniture down our two steep flights of stairs by ourselves. This all may seem simple enough, but any day here that we accomplish exactly what we set out to achieve seems like a huge victory, because nothing went wrong- even the weather agreed (something that rarely happens). Since the house where we are storing this stuff is having road work done soon, this was the only time we could take everything over with the moving truck. Which means, until we leave in 3 weeks, we have the following: 1 air mattress, two chairs, our TV, some towels, 1 pan, and a few dishes. Not to mention the dozens of moving boxes. It is fun in a way, though. Like 'indoor camping,' with all of the comforts of running water. The next few months are going to be an adventure. Handing over our final boxes of things to the removal company, packing our suitcases and saying goodbye to our apartment, Meagan's wedding, a month apart while Chad wraps things up in Rotterdam, and finally, taking our life out of storage in Pittsburgh and making the long drive up to New Hampshire, and to our new rental house which we have only seen in photos. We're looking forward to all of the above... and we'll be just in time for Leaf Season in New England! I am so excited that y'all will be "close" to us. Good luck with the move!